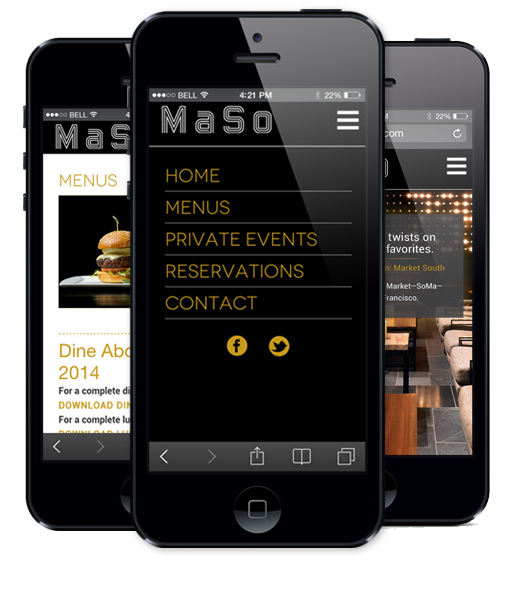 Our long-time clients at the Westin brought us on board for the launch of its new restaurant website, MaSo. The incredible retro- / computational-themed interiors made our mobile-friendly, responsive design for the new website a visual treat (and yes, pictures of yummy food make design easier). The site features a scalable, full-screen slideshow and an easy-to-use content management system. PS: Try the lobster macaroni and cheese. You read that right. Lobster macaroni and cheese.